This map displays territory of Kazakhstan, of Russia, of Ukraine. city Volgodonsk download for free. Displayed city Pyatigorsk for Garmin. You can find here city Cherkessk marked. city Elista for Garmin. On this map city Yessentuki for Garmin. On this map city Mineral'nyye Vody for Garmin. Displayed city Georgiyevsk free download. You can find here city Budennovsk marked. 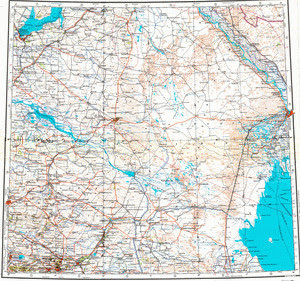 On this map city Mikhaylovsk marked. On this map city Zelenokumsk download for free. Displayed city Svetlograd marked. You can find here city Blagodarnyy for Garmin. city Goryachevodskiy for Garmin. Displayed city Ipatovo free download. city Inozemtsevo free download. On this map city Neftekumsk for Garmin. On this map city Aleksandrovskoye free download.